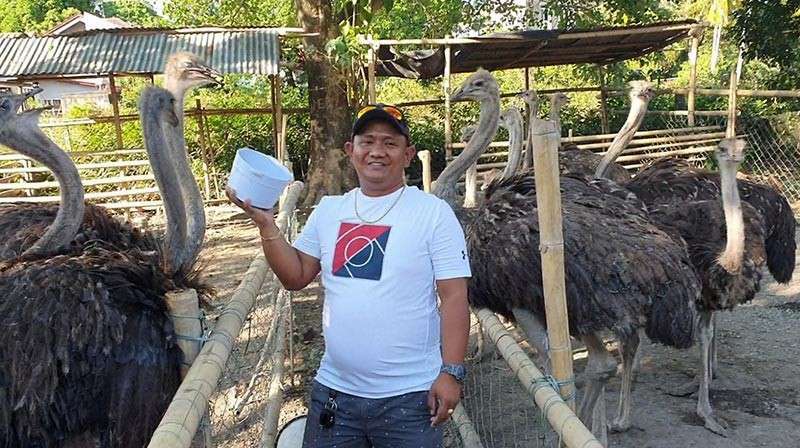 KALIBO, Aklan--A man in this town in Central Visayas has banked on maintaining an ostrich farm which he says contribute to the food security. Ramon Dio in an interview Thursday morning, March 14, said that he started his passion on taking care of Ostrich last year. “It has been my dream to pet an ostrich. 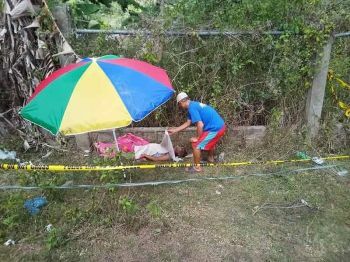 I bought a couple of them from Subic and some in Cebu,” he said. But for starter like himself, taking care of an ostrich was not easy. He experienced one of his original ostrich died. He, however, was not discouraged from the incident. Despite of the unfortunate event, he bought again a couple of ostrich until this time. “Now I am taking care of some 20 ostrich in my 400 square meters range in Barangay New Buswang, Kalibo. It already started to pick up clients,” he said. Some residents and tourists are already coming to his farm to personally see the ostrich and try to feed them. “Currently, I am processing my permit with the Department of Environment and Natural Resources to make my farm a zoo,” he said. Each egg of ostrich reportedly costs P1,200. A month old living ostrich are price at P25,000 each. “I am confident of the ostrich farm to contribute to food security since it was more healthy compared to eggs coming from chickens. Ostrich is also known to survive both extreme hot and cold temperatures,” he said. 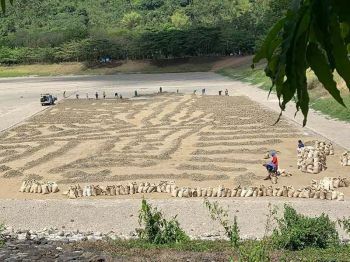 The Philippine Atmospheric, Geophysical and Astronomical Services Administration earlier warned on an extended El Niño phenomenon to happen this year.